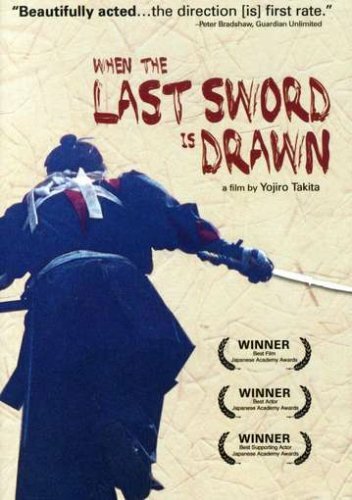 Yojiro Takita's epic film set at the end of the Edo period in Kyoto tells the story of Kanichiro Yoshimura, a lone Samurai whose sole purpose in life was to make enough money to support his family. His fellow warriors initially view him as dishonorable for this mercenary approach, especially Saito, another member of the Shinsengumi, guardians of the Imperial capital. It is here that Kanichiro proves himself time and time again as a master swordsman, eventually earning the respect of Saito and the other samurai. If you have any questions about this product by Wellspring Media INC, contact us by completing and submitting the form below. If you are looking for a specif part number, please include it with your message.